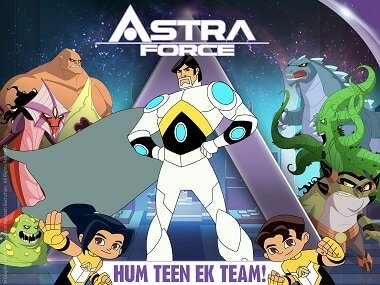 To coincide with Amitabh Bachchan's 74th birthday on 11 October, Graphic India and Disney have unveiled the first look of the superstar's superhero animated series Astra Force. Bachchan, who has played superhero-like characters on screen before, in Ajooba, and as the justice-dispensing vigilante in Shahenshah, depicts a mythical hero called Astra the Immortal in Astra Force. Amitabh Bachchan as Astra Force. While the animated character has been modelled on Bachchan, the superstar has also lent his voice to the series. The first look unveiled by Graphic India and Disney reveals the origin story for Astra the Immortal, and how he meets two 8-year-old twins — Neal and Tara — as they combine forces to save the universe from a wave of giant monsters and super villains determined to rule the galaxy. Neal and Tara who accidentally awaken Astra the Immortal from a long hibernation, and find that they must teach him all about the modern world even as they battle to save the universe. From the little that has been shared so far, the series looks like a fast-paced, action-adventure ride. 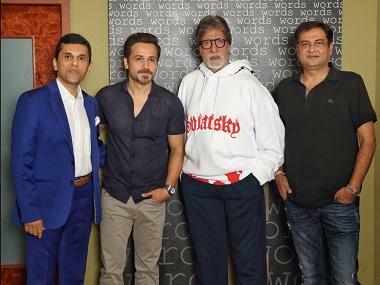 Will the force be with Amitabh Bachchan's animated avatar as Astra?